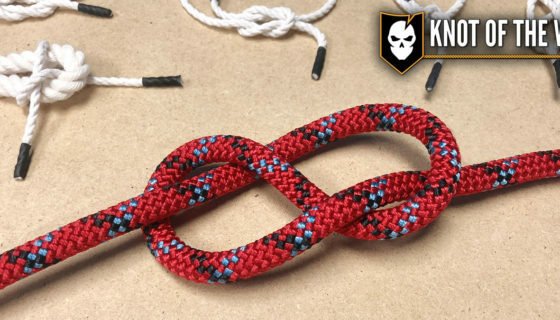 We’d like to introduce our first Knot of the Week mini-series, climbing knots. 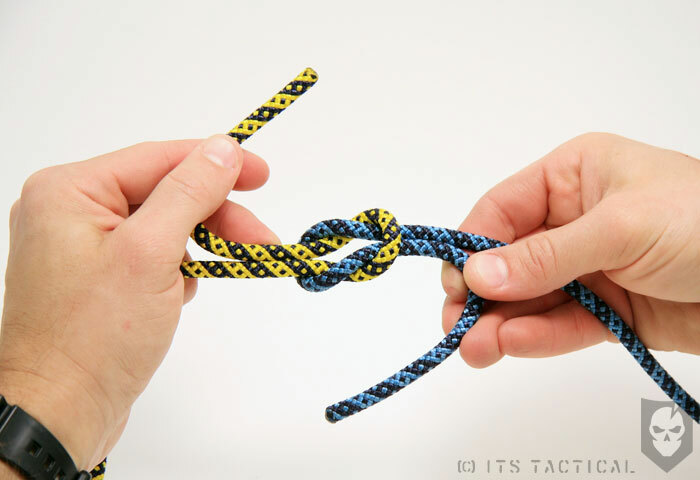 We’ll be reviewing some of the most common and useful knots used in climbing and mountaineering for the next few weeks. 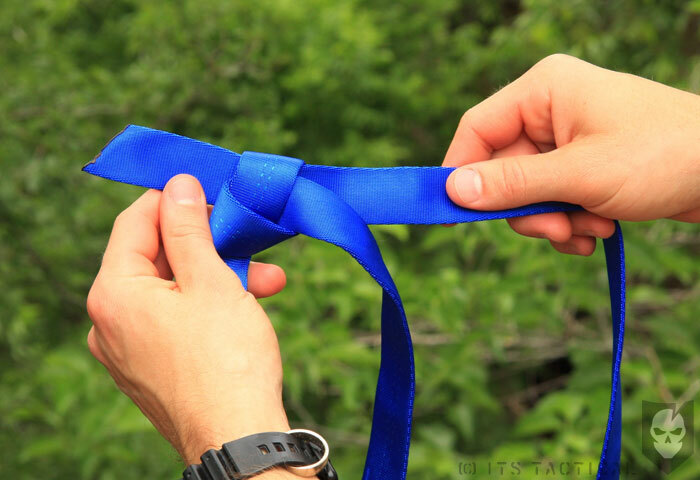 Today we start with the Tape Knot. 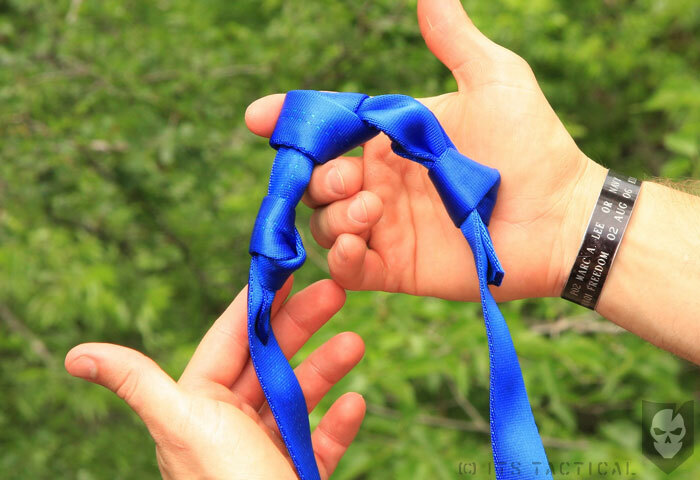 The Tape Knot is a quick and simple knot which only slightly differs from the traditional overhand knot or water knot. 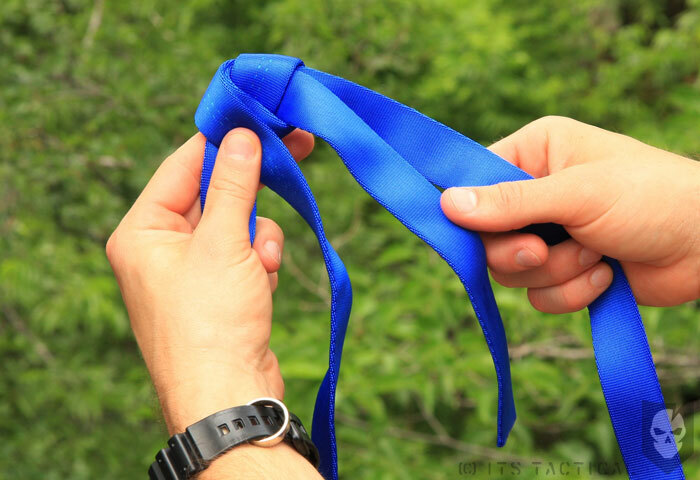 A Tape Knot is tied with tubular webbing, which is sometimes referred to as tape. 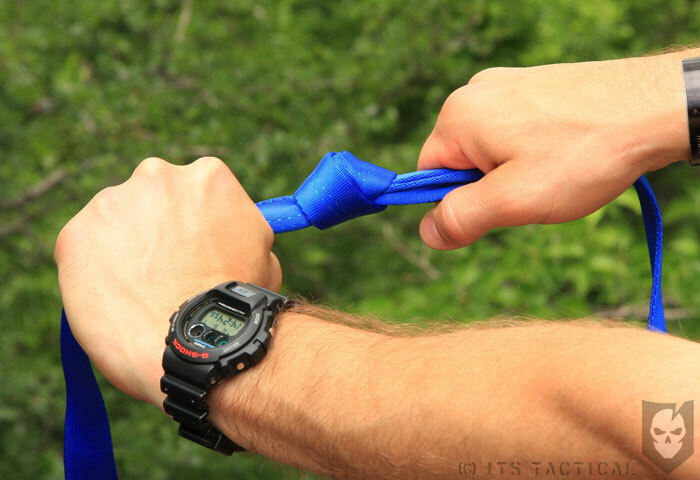 Tubular webbing is used in climbing to make slings, runners and anchors due to its strength, surface area and ability to lie flat. 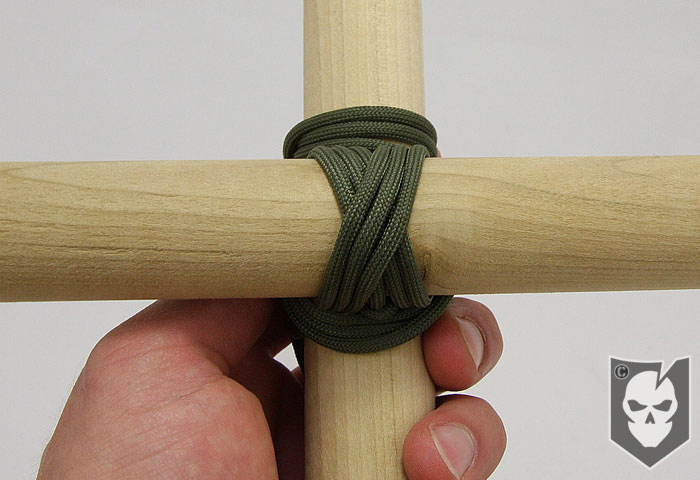 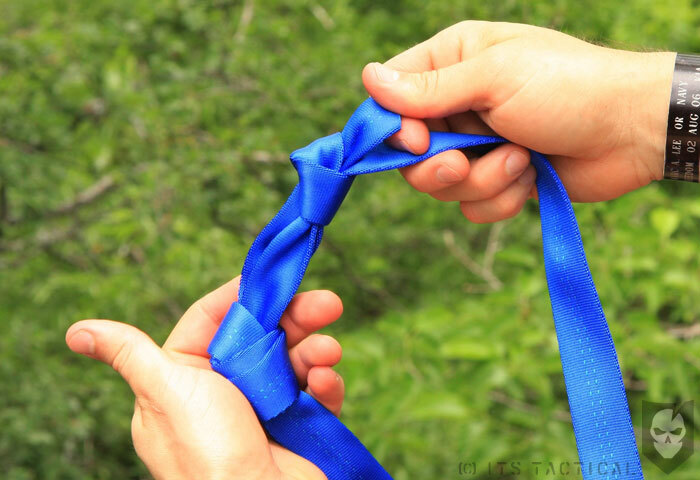 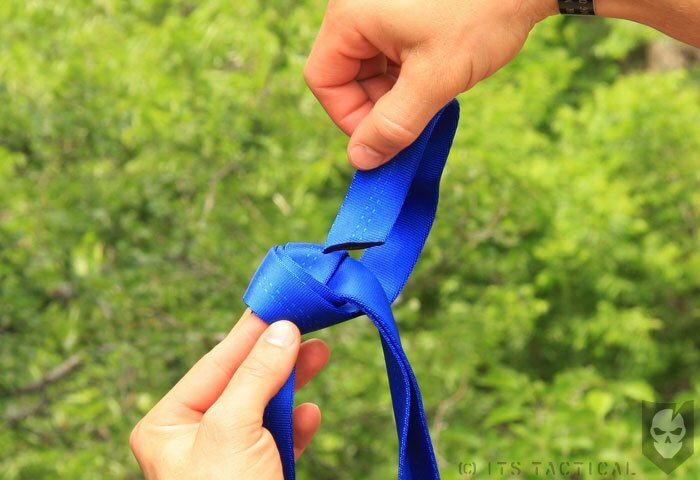 We’ll be using the Tape Knot in our demonstration to not only show how to tie it, but also how to join opposite ends of webbing together to make a sling, runner or anchor. 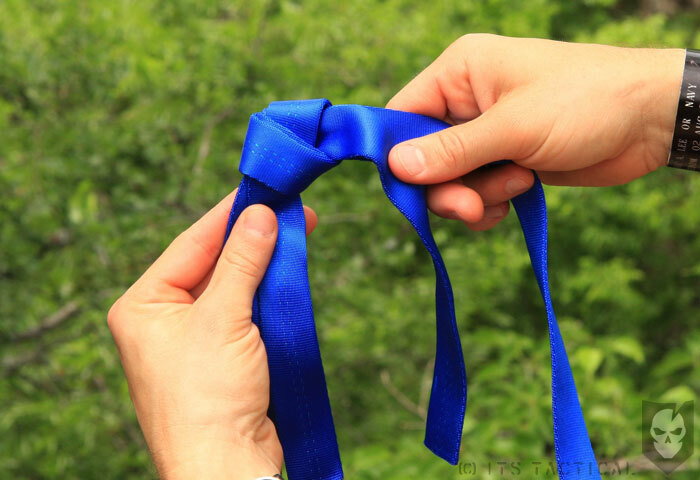 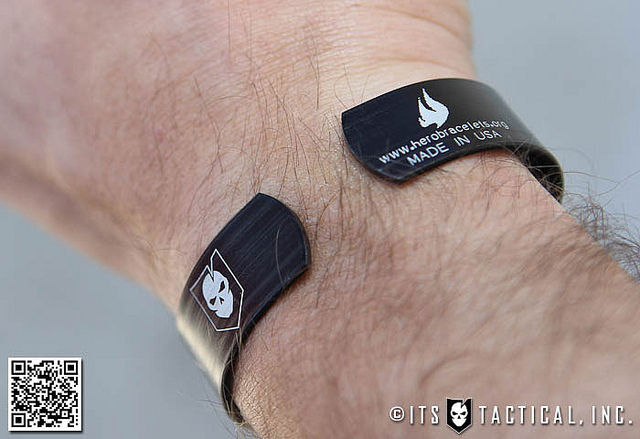 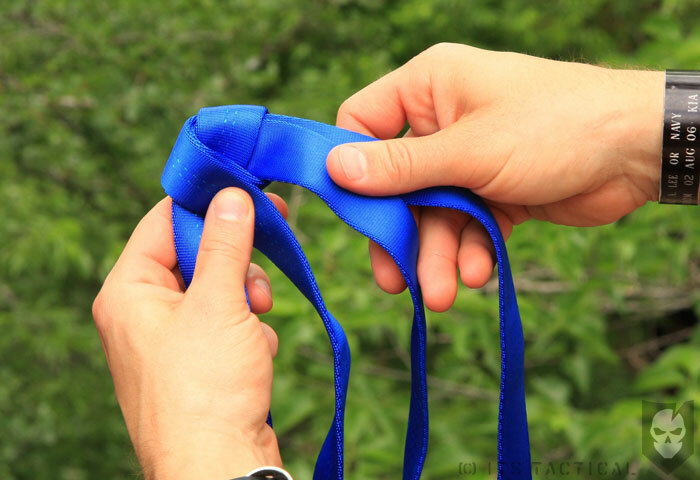 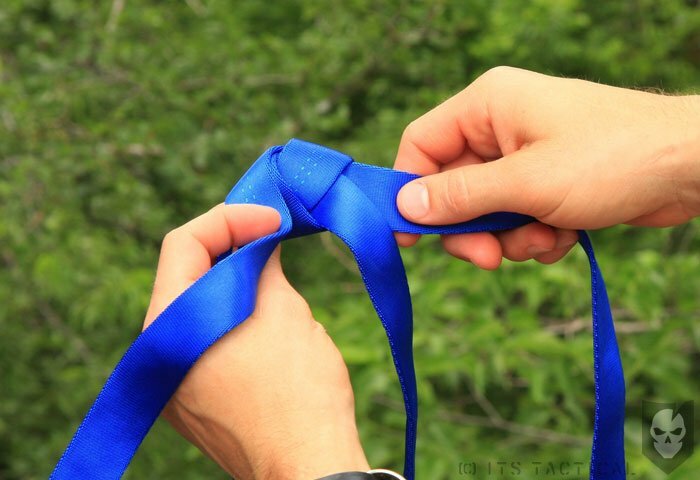 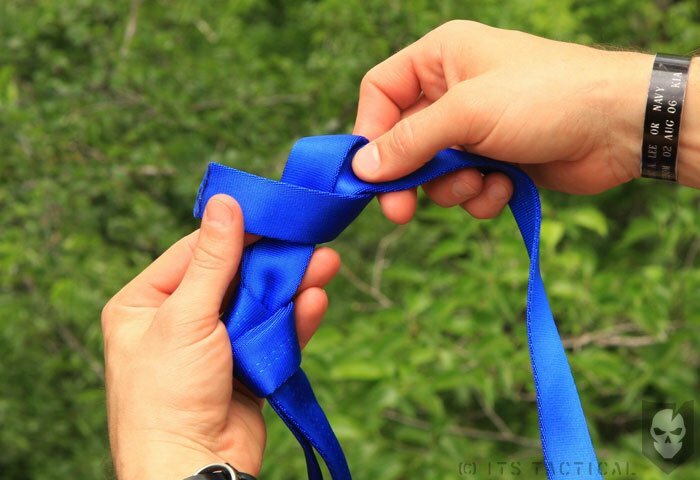 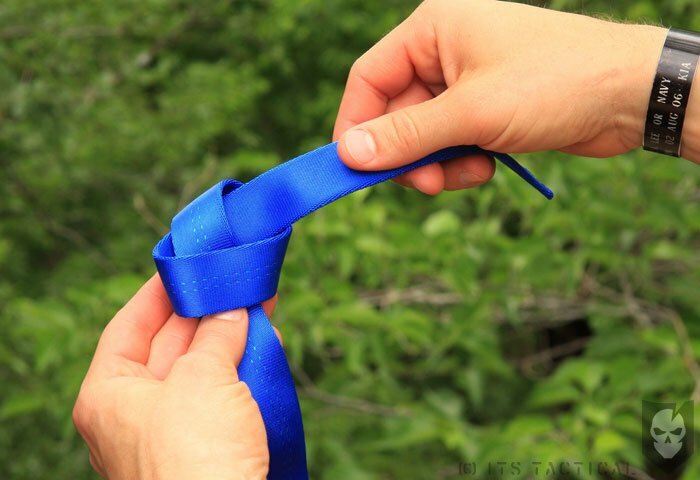 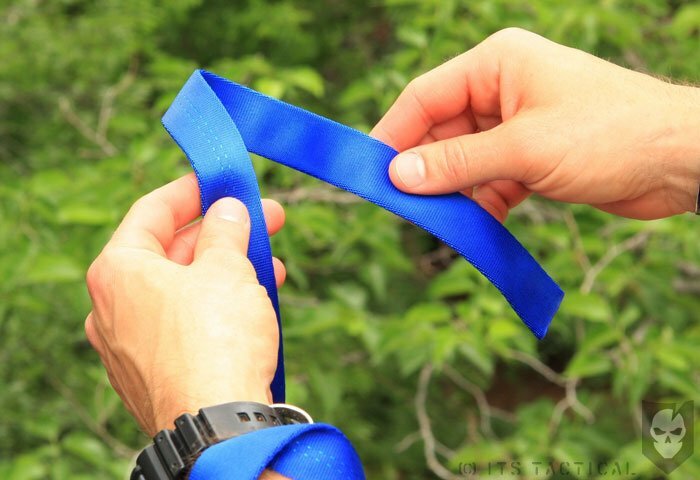 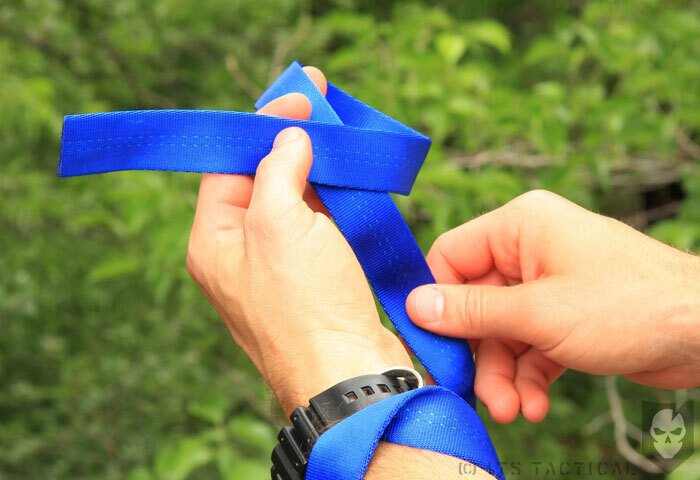 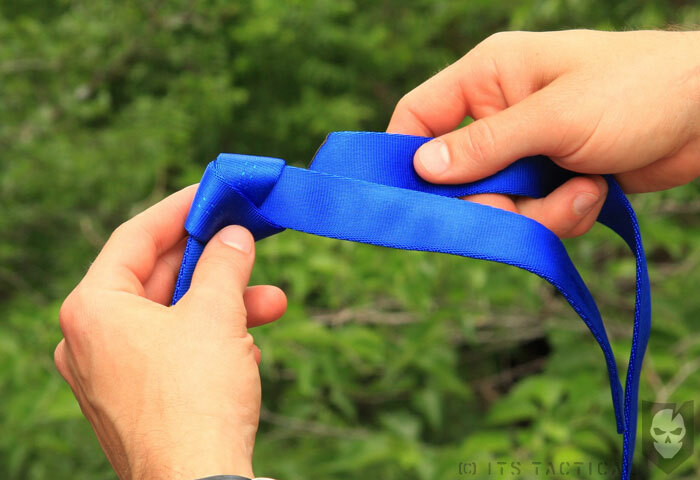 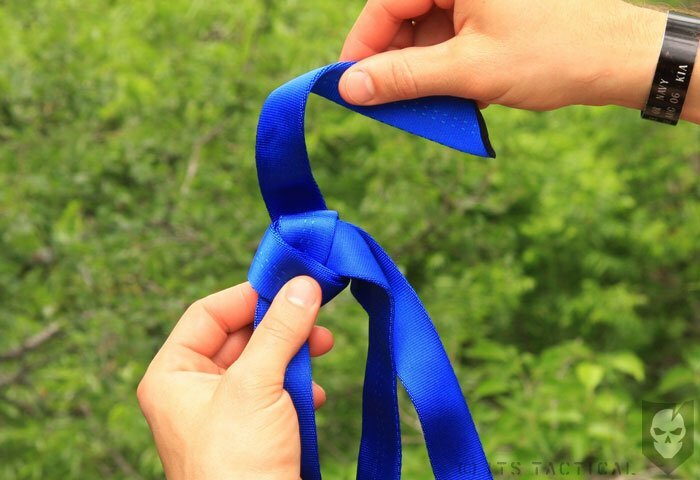 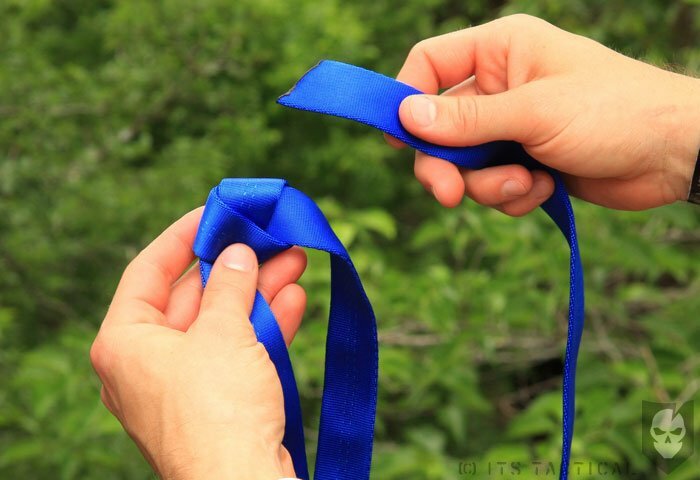 Make sure the initial Tape Knot is tied loosely so the opposite end of the webbing can be threaded through easily.